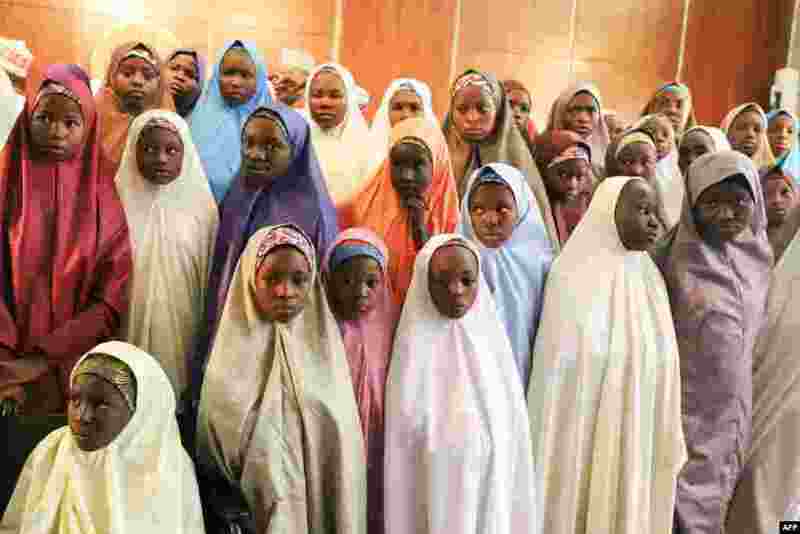 ٥ Released Nigerian school girls who were kidnapped from their school in Dapchi, in the northeastern state of Yobe, wait to meet the Nigerian president at the Presidential Villa in Abuja. 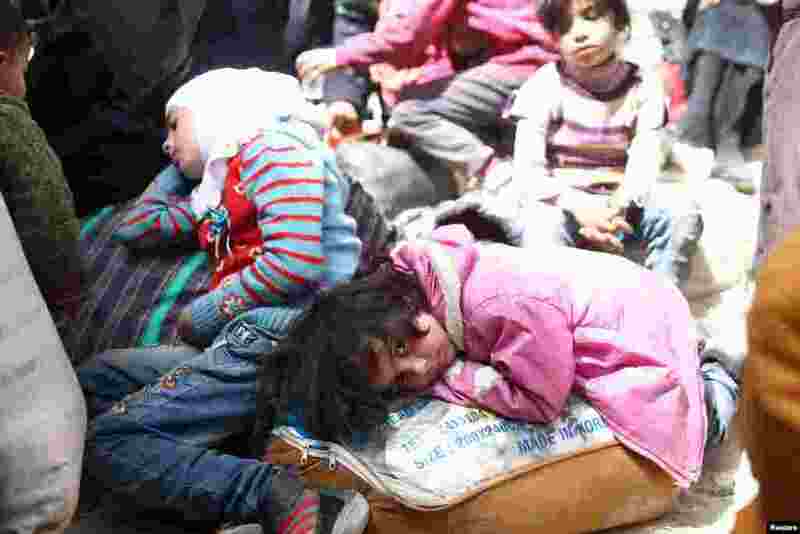 ٦ A girl looks at the camera during evacuations from the besieged town of Douma, Eastern Ghouta, in Damascus, Syria. ٧ Police are seen at the scene of a hostage situation in a supermarket in Trebes, Aude, France, in this picture obtained from a social media video. 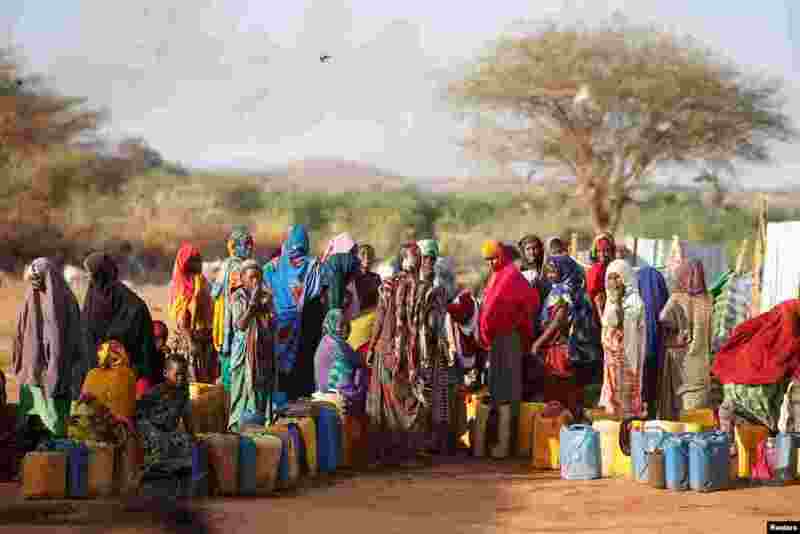 ٨ Somali women wait to collect water at the New Kabasa internally displaced camp in the northern Somali town of Dollow, Somalia.